I know it's a big cliché dreaming that Wes Anderson art-directed my life. In a perfect world, I would stroll around Paris with my Margot Tenenbaum inspired haircut and (faux) fur coat, carrying a pink Mendl's pastry box, a love letter with Tilda Swinton's lipstick kiss, and everything I say would come out in a light yellow futura typeface. 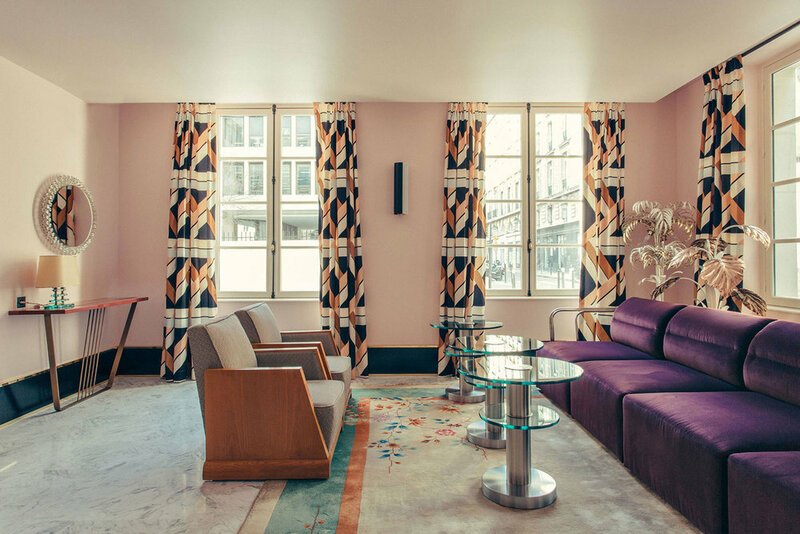 But as I plan my mandatory trip to Paris in September and pack my non-existent fur coat or red adidas tracksuit into my Very Troubled Child bags, I dream of checking in at Hotel Saint-Marc, listening to Josephine Baker & taking a bubble bath while zipping Rosé. 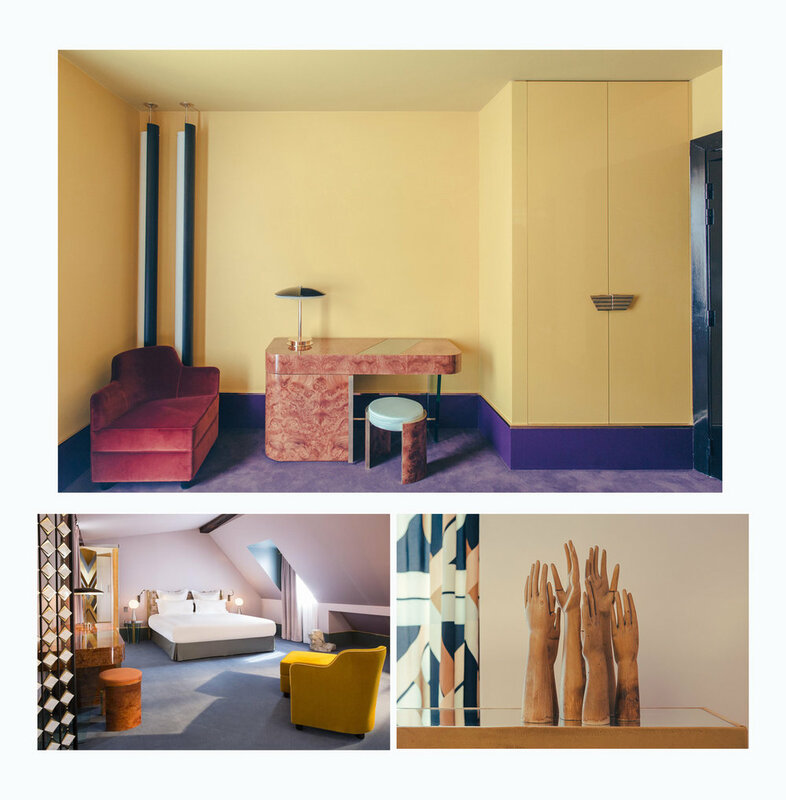 Hoteliers Nadia Murano and Denis Nourry (who also own the Petit-Moulin in the Marais neighbourhood) recently opened the Hotel Saint-Marc , right next to the Opéra-Comique in Paris. This time, it wasn't Anderson that created an amazing world but the Italian design agency DIMORESTUDIO. 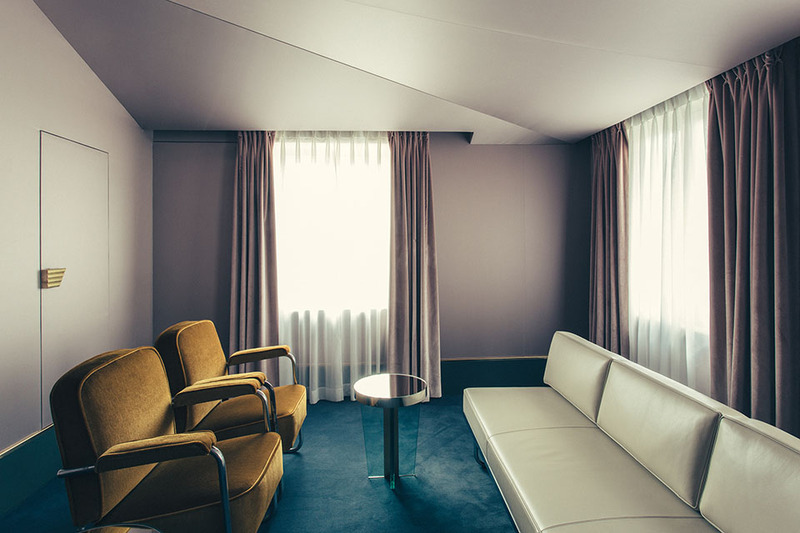 The designers were asked to bring life to the hotel in a modern way, giving a chic and elegant feel, while respecting the hotel's long heritage. They mixed vintage furniture and made to measure creations. The rooms have been designed as private apartments, and are decorated in six different styles. 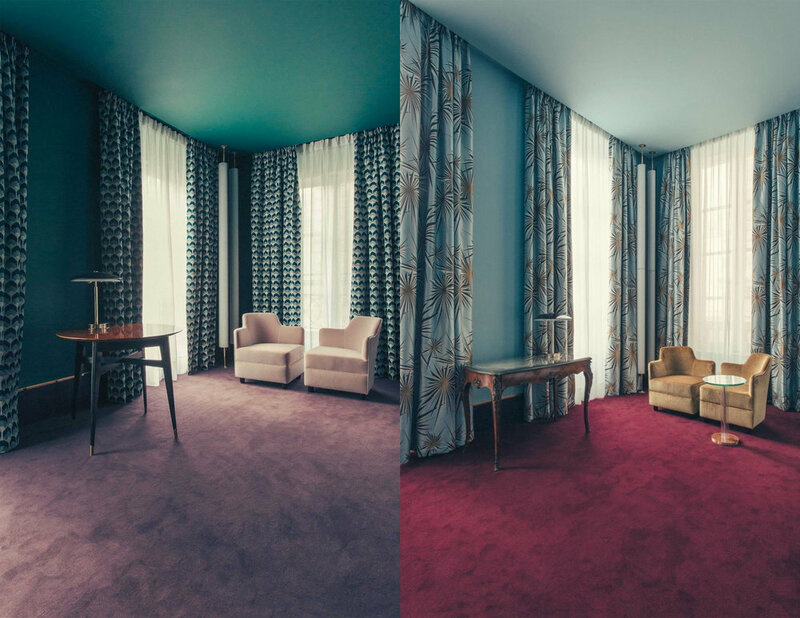 When you stay in one of the 26 rooms of the hotel, you will find different textures such as white, pink and black marble, brass, glass, precious woods, velvet, silks... You will also find Art-deco inspired prints in the drapes, Louis de Poortere rugs, Fontana Arte and Flos lamps, O.Borsani brass headboards, and a gorgeous desk to write love letters. The colour palette is to die for, very rich colours like mustard, burgundy, burnt-orange, aubergine, emerald green and petrol blue make contrast with the pastel toned pinks, blush, and blues. Price: From 400€/night. Book your room here. Photos: Courtesy Hôtel Saint-Marc/ Photos by Philippe Servent.